Using technology from our vendor partners, this one-day course will provide an overview of each piece of equipment, as well as hands-on instruction on deploying technology in hostile environments. Students will learn how to deploy and work behind technology in a safe manner. They will also learn how technology can improve tempo and situational awareness, and the importance of selecting the proper equipment. Equipment will include robotics, throw phones, listening devices and camera systems. Captain Mark Pergola has been employed in law enforcement since 1990 and worked for the Seminole County Sheriff’s Office in Florida since 1996. He serves as the agency’s High Risk Incident Commander and oversees the Special Operations Division, Aviation Section, Emergency Management Section and Specialty Response Teams. Captain Pergola has served as the Criminal Investigations Commander, Watch Commander, Honor Guard Team Commander, Specialized Services Divisional Commander, SWAT Technical Support Team Commander, Auto Theft Bureau Supervisor, Financial Crimes Supervisor, Patrol Supervisor, and Canine Handler. Captain Pergola is also an active participant in the State of Florida Region 5 Emergency Management Team. In 2007 he began a pilot program of SWAT Techs to support SWAT operations, which eventually evolved to a four person team trained in the technical aspects of SWAT, while also serving as trained SWAT Operator. 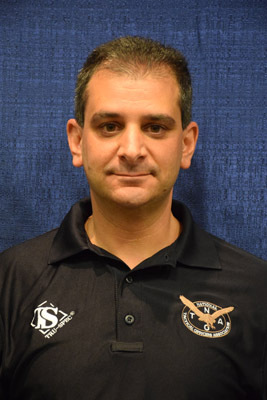 Captain Pergola is the Technology Section Chair for the National Tactical Officers Association. He routinely instructs classes nationally in Unified Command, Emergency Management and Electronics in Tactical Applications, and has had several periodicals published in national law enforcement publications. He is also a veteran of the US Navy and served during Operation Noble Eagle.